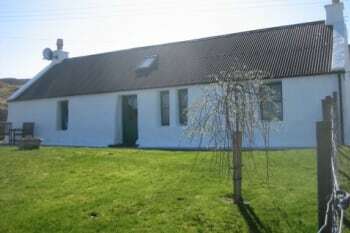 Ian & Dena MacDonald welcome you to our website and are proud to present to you our beautifully renovated late 18th century highland cottage which sleeps 2, is tastefully decorated and equipped for self-catering. It has one double bedroom, shower-room/toilet, kitchen and lounge with a super log-burner, well stocked library, WiFi, Sky TV, DVD, video and radio. Background heating is from electric storage radiators and the kitchen has a cooker, washer/dryer, fridge and microwave. All electricity, heating, fuel, linen, and towels are included in the price. There are no rooms available at The Cottage for these dates. Fantastic cottage, with every amenity you need, views from cottage are amazing, as are the walks, and plenty of information and maps to hand. 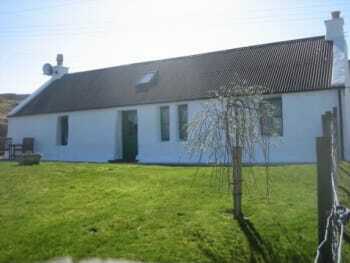 This Cottage was just what we needed, quiet area, not too far from Portree and excellent for getting round both North and South of the Island. I thoroughly recommend it, you will definitely want to return. Lots of local restaurants in Portree if you didn't want to cook. Two excellent Indian restaurants, fish and chips, lots of seafood. There were tours you could book on for sightseeing, but we preferred to go it alone. Boat trips from the Harbour for seal watching and hopefully see some sea eagles. Lovely walks. You will not be bored. Very glad you enjoyed your holiday. When guests leave super reviews like this one it gives us a boost! We live in a beautiful part of the world. We are so pleased when others appreciate our island. Haste ye back! Many thanks for your review. Haste ye back! Thank you kindly. Glad you enjoyed your stay. Very kind Helen. Thank you. Fantastic stay! 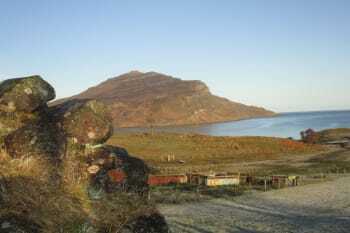 Fine position, quiet place, some walks just in 5-10 min driving, not more than an hour to main Isle of Skye attractions. Very friendly owners. Completely equipped apartment, apropos - interesting books (Ian is the author of 4 of them concerning the Isle history and attractions). Once more - fantastic!!! Thank you a lot, Ian and Dena!